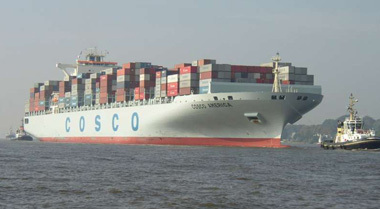 COSCO SHIPPING Logistics (North America) Inc.
A tradition of excellence combined with a company-wide culture of unmatched customer service is what has made COSCO SHIPPING Logistics (North America) the world’s leading provider of third party logistics. With services that reach all parts of North America and resources that circle the globe, CLA offers customized solutions ready to meet the widest variety of supply chain challenges. With one call, just one point of contact, CLA will move your cargo to virtually any point worldwide through a network of strategically placed warehouses, intermodal services and specialized vendors that meet CLA’s stringent standards for customer service, integrity, speed and efficiency. CLA provides true peace of mind, with a full suite of electronic services that allow tracking, tracing and monitoring of each shipment. CLA is particularly noted for its extensive and unparalleled experience in moving cargo to any point in China via rail, truck or barge. Managed through three hundred local offices, CLA has the expertise, routes, warehousing and distribution services that extend throughout Asia and the Far East. With locations at major hubs that offer more than 50,000 square feet of food-grade storage, alarmed and sprinklered, and with drive-in doors for indoor loading, CLNA can provide warehousing and distribution services that help you move product door-to-door from manufacturer to customer, supplier to retailer on time, safely and securely. COSCO SHIPPING Logistics (North America) CLA is a licensed and bonded NVOCC with global ocean and air resources, offering inbound and outbound service from every major carrier. 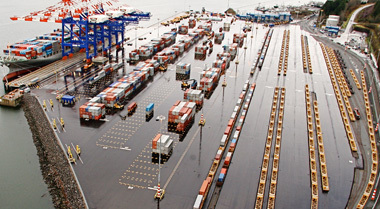 Integrated services allow delivery door-to-door for all types of cargo, including all intermodal requirements at either end, including, rail, truck or barge. All services including domestic rail, trucking and more, with complete warehousing, distribution and consolidation service. Look to CLA for faster order cycle times, and lower overall operating costs. 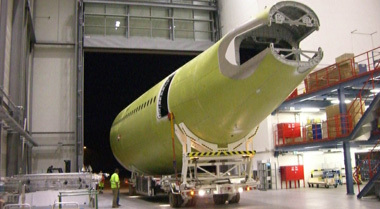 No matter how big, how complicated or how unique your project cargo is, CLNA can move it quickly, efficiently, and smoothly. Specialties include heavy lift or over-dimensional, valuable and delicate, out-of-gauge or over-weight cargo. It's no surprise that in an environment that rewards experience and fosters initiative and innovation that many of CLA's employees and management have been with the company since its inception in 1996. Our people are the very best at the science and art of logistics and enjoy doing it day in, day out. Concern for the customer is made obvious by the way our staff takes pride and a personal interest with a hands-on approach to making sure the customer's cargo moves with expediency and cost efficiency. Logistics is truly a relationship business. With long associations with our customers and trust in our service partners, CLA is known for the ability to simplify and streamline the process of moving goods around the corner or around the world.